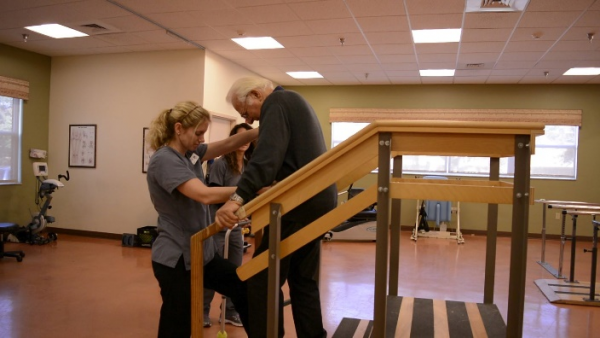 Physical therapists work in a variety of settings including skilled nursing facilities, hospitals, rehabilitation centers, schools, outpatient clinics, and fitness centers. A physical therapist (PT) is an educated, licensed healthcare professional who works with patients to restore or improve mobility, reduce pain and lessen the need for long-term prescription medications. It is common for athletes or those recovering from surgery to seek care from a physical therapist, but the aging process in and of itself can impair one’s function, creating the need for physical therapy. Physical therapy can also be used to treat specific conditions effecting the elderly such as: Parkinson’s, stroke, Alzheimer’s, incontinence, and COPD.